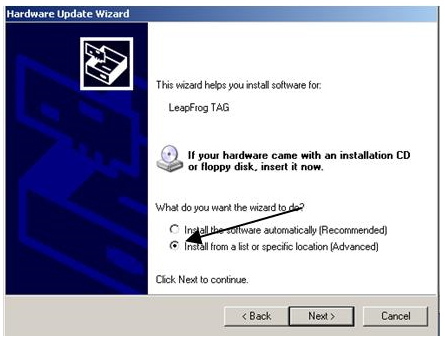 With the Tag Reader turned off, plug the Tag Reader in to a USB port on the back of your computer. Does it automatically power on? If no, the device is defective; please contact customer support. If the device is powered on, click the Windows Start button and select "Run"
In the search box that comes up, type devmgmt.msc. 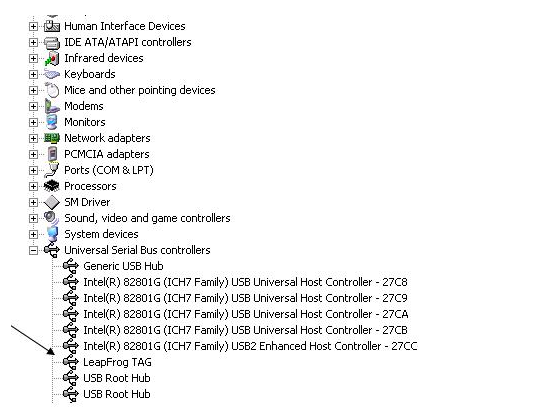 The Device Manager will open. 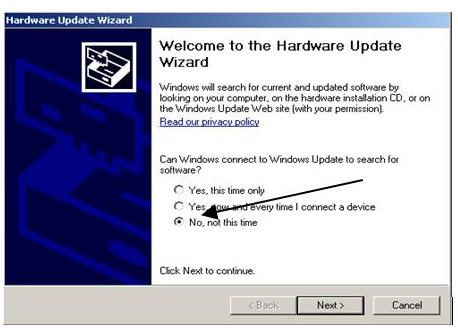 If you see the exclamation point, right click on the Tag Reader and select "Update Driver"
On the Welcome to the Hardware Update Wizard, Select "No, not this time" to the "Can Windows connect to Windows Update to search for software?" 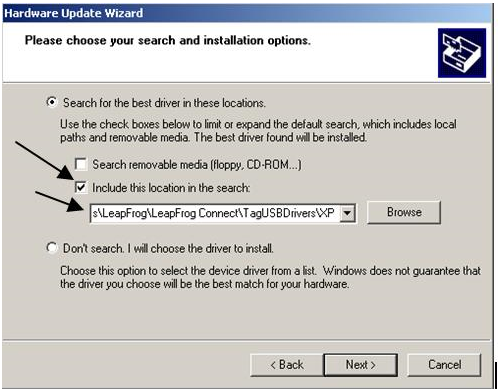 and click "Next"
On the next screen, select the "Install from a list or specific location" radio button and click "Next"